Games we showcased at Maker Faire 2011, San Mateo, CA. 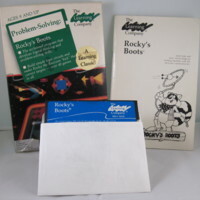 Blister packed InvisiClues Hint Book with Infocom labeled marker. Unopened.